It’s always risky making predictions, yet risk is what we love. This weekend the 2016 NASL season gets underway. The Spring portion will be ten matches with the winner securing a spot in the postseason. Starting out strong matters in this league, but it isn’t the be-all or end-all for a team. Here are my predictions for this coming weekend. A lot is expected out of Minnesota United this season, as it will likely be the team’s swan song in the NASL. Next season, Minnesota United will join MLS, so all of its players as well as new manager Carl Craig will be auditioning to stay with the organization when it moves. It’s a great story, Minnesota’s rise to MLS from being league owned in danger of folding. But that story is meaningless to the task at hand—winning the championship. Carolina has long been a superb team and while there isn’t a rivalry per se between the Railhawks and United, each organization craves putting one over on the other. Returning to Carolina is striker Brian Shriver, who won the Golden Boot with the Railhawks before transferring to Tampa where things never quite worked out. Back at WakeMed Park, Shriver will be backed by one of the most competent and proven midfields in the league. Marvin Ceballos arrives from Indy Eleven a proven creative threat, James Marcelin comes up from Ft. Lauderdale after quietly being one of the best holding midfielders in the league, and the healthy trio of Austin Da Luz, Tiyi Shipalane, and Nazmi Albadawi will not only create chances but finish their fair share. Carolina’s defense features two stars from the now defunct Atlanta Silverbacks (centerback Simon Mensing and fullback Paul Black) joining centerback Conor Tobin and longtime Carolina fullback Kupono Low. 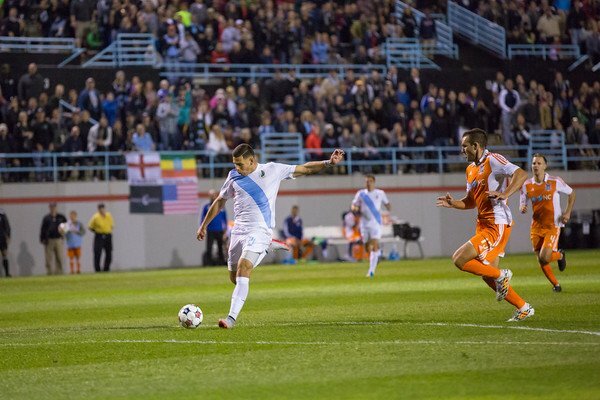 This foursome will face a Minnesota attack that has yet to gel or really be all that convincing over the preseason but features the league’s most dangerous players—strikers Christian Ramirez and Stefano, winger Lance Laing, and central midfielder Ibson. If Carolina draw first blood and stay on the front foot, Minnesota could very well open its final season with a hard loss. However, I believe Minnesota United will pulling out a win, something it hasn’t done since September of 2011. It’s taken David Beckham nearly a decade to get himself to the point where he can seriously say he hopes to put a MLS team in Miami. Meanwhile, Paolo Maldini has landed his team in Miami giving the reigns to Alessandro Nesta for his first stint as a manager. Nesta has assembled a team that looks to be quite competitive in the NASL. Every expansion team is its own story. It’s unfair to compare the efforts of the former AC Milan teammates and world superstars; but we do, and we will. 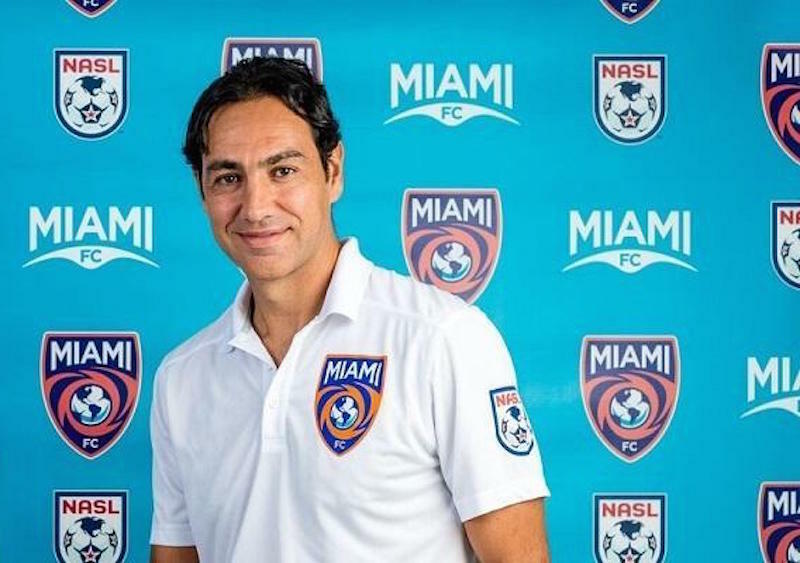 While Beckham wrestles with the Miami real estate market, Nesta will be leading the team he’s crafted in its first derby. To open its inaugural season against its natural, geographical rival is no small thing. This will be the first battle for Florida bragging rights with many, many more to come. Nesta’s side sports a cadre of serious talent such as NASL all-time leading scorer Pablo Campos, former Tottenham Hotspurs midfielder Wilson Palacios, and ex-New York Red Bull winger Dane Richards. Facing off against the Strikers will be a serious challenge for the expansion side. Over the offseason, Ft. Lauderdale toured China and completely overhauled its team. The Brazilian owners have gone all in on making the Strikers a top Brasileiro…err, NASL team. Hard-edged midfielders (Neil Hlavaty and Jean Alexandre) will complement the creativity of Adrianinho and PC. Hopefully, the glut of midfielders will bring out the best in forward Matheus Carvalho, who could be a beast of a goal scorer. But, Ft. Lauderdale might just as easily become a team that ends up only able to pass the ball into the back of the net. It’s entirely possible there will be more flair and passion in the stands between rival supporters than on the pitch. Apart from a golazo, I can’t see this match as ending in anything other than a draw. Tampa always makes major off-season moves. This year was no different. From within the league came standouts like striker Tom Heinemann from Ottawa, winger Kalif Alhassan from Minnesota, and winger Walter Ramirez from Ft. Lauderdale. New-ish manager Stuart Campbell decided to pack his squad with midfielders adding former Major League Soccer prospects Michael Nachoff and Eric Avila. Then there’s the rumored signing of English midfielder Joe Cole, a player that inspires as much admiration as derision among soccer fans. If Cole does join the Rowdies, he’ll be alongside American prodigal son Freddy Adu. It makes Tampa Bay a glorious mess and one that will face a completely revamped Indy Eleven. With new manager Tim Hankinson at the helm, Indianapolis is poised to have its best season yet in its young life. Indy was able to pick up from Ottawa one of the league’s best centerbacks (Colin Falvey), one the best defenders from the third division, Sacramento Republic’s Nemanja Vukovic, and veteran MLS defender Lovel Palmer. A team that has always been rather leaky in defense now appears to be shored up, which will finally allow Indy’s attack to be solely focused on moving forward. That attack will be spearheaded by Eamon Zayed and buttressed by rising talent Dylan Mares and stalwart midfielder Sinisa Ubiparipovic. This match-up between a hungry Tampa Bay with something to prove and an eager, hopeful Indianapolis should be exciting. Indy Eleven have only ever lost to Tampa Bay Rowdies once in the dying minutes of the match. I suspect they will open 2016 with three points on the road. This, perhaps, will be the most secretly loved match of the NASL’s opening weekend. There has been a lot of blather about Spanish side Rayo Vallecano buying into the US and Canada’s second division. Frankly, the only people who took the expansion team seriously were its owners, and it looks like all of us are going to be eating crow. Manager Alen Marcina knows the league top to bottom, literally he’s lead a team to the championship and to last place, and is clearly a player’s coach. He has finally been given the resources to put together a team that is wholly his own. Marcina has brought up with him to Oklahoma the best players from San Antonio (left winger Billy Forbes, center-right midfielder Marvin Chavez, goalkeeper Daniel Fernandes, and defensive midfielders Richard Menjivar and Tyler Gibson). Add to this mix league all-star centerback Erick Norales (formerly of Indy Eleven) and several attack-minded MLS journeymen (Michel, Sebastian Velasquez, Ryan Johnson, and Robbie Findley), and we see that Marcina doesn’t just have a deep roster but one that’s more than competent. The icing on all this is the international talent brought in by Rayo OKC. If he stays healthy, then Greek international star striker George Samaras could be lightning in a bottle, and with Ghanaian midfielder Derek Boateng buttressing him, Rayo OKC will be fielding an expansion side that looks on paper to be one of the most experienced and dangerous assembled. Fans and pundits want to see just what this team can do. It will come down to just how astute of a tactician Marcina is and how well this assembly gels on the pitch. 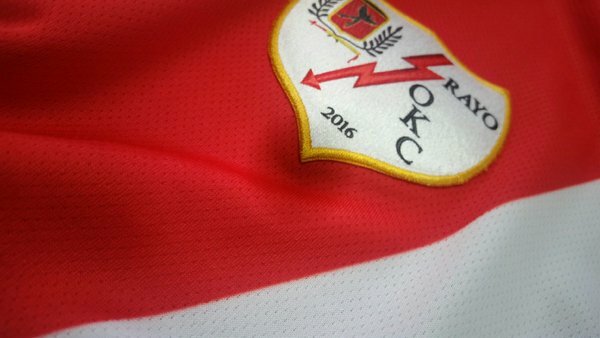 An opening day against the perennially middling-to-poor FC Edmonton certainly bodes well for Rayo OKC’s debut. I think they’ll give their new home supporters a win. The last match of the opening weekend of the 2016 season will be a replay of the last match of the 2015 season, the championship between the New York Cosmos and Ottawa Fury. 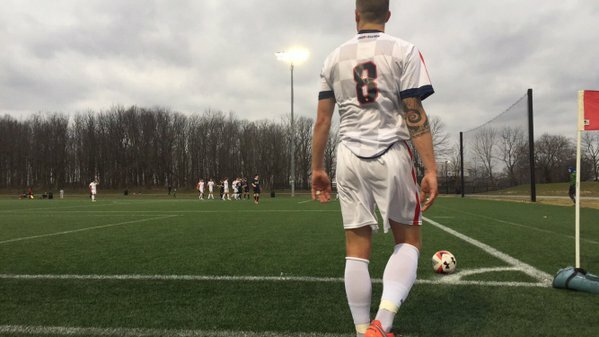 However, the only members of the Fury who will really remember this will be goalkeeper Romauld Peiser, centerback Rafael Alves, and midfielder Mauro Eustaquio as the rest of the Ottawa team that lost the final 3-2 to New York are now gone. Gone too is the architect of Ottawa’s run to the final, Marc Dos Santos, replaced by the talented Paul Dalglish. The whole new Fury will be facing a Cosmos side that is, arguably, the strongest yet fielded. New to the defending champions are strikers Yasmani Duk and MLS veteran Jairo Arrieta, world renowned central attacking midfielders Juan Arango and Niko Kranjcar, and defensive midfielder Michael Lahoud formerly of the Philadelphia Uniton. 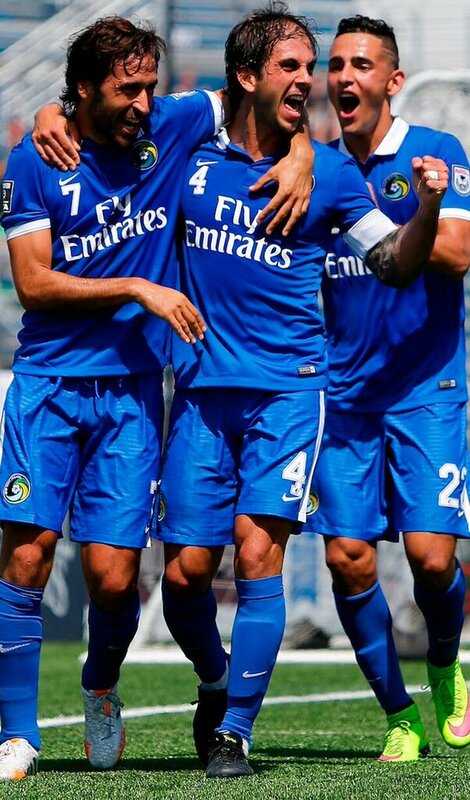 With an impressive backline still intact it’s highly unlikely that the Cosmos will falter much this season. Ottawa is deploying a new system under a new regime facing a team that has been the best in the league since its inception. It will be no small feat for Dalglish’s new look Fury to come out of this road match with a respectable loss or even a point. Will winger Jonny Steele’s attitude finally be adjusted? Will midfielders Marcel de Jong and James Bailey find the NASL caters to their style of play? Who out of the forgettable attacking core that Dalglish has assembled will step up to be the goal scorer? Will the defense, which was the best in the league last season, merely be a shadow of itself? There are more questions than answers for Ottawa, so it’s clear (baring a shocking collapse) the Cosmos will will this one.